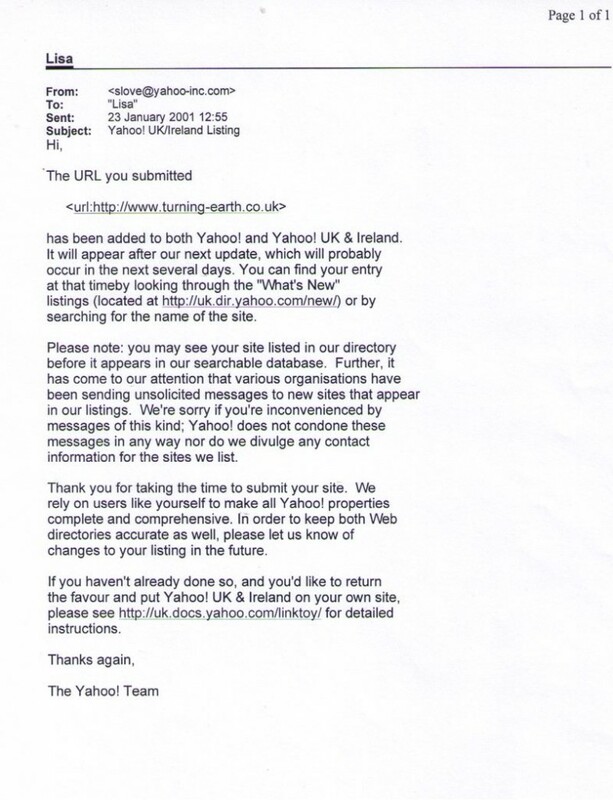 In a dusty old folder I found this print-out of an email from 15 years ago, when I first submitted this website’s URL to the Yahoo! search engine. I thought I’d share this historic document, in case it’s of interest to internet historians.